once again some time has passed quietly (way too fast in our opinion) and it is urgently time for the next update about Roman´s and Bene´s Zombie Community Project. Last Update was during this summer and we can tell you one thing that is for sure: This project did not die. Even it is about Zombies. 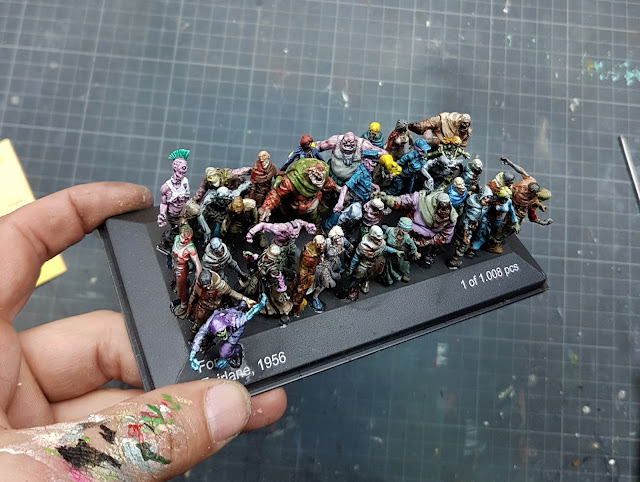 Let's call it a walking dead project. It grows, steady and slow. For everybody waiting for the final results of the MV challenge 2017: Josua and Roman are done with the pre-judging and make final decision in their jury work tonight. 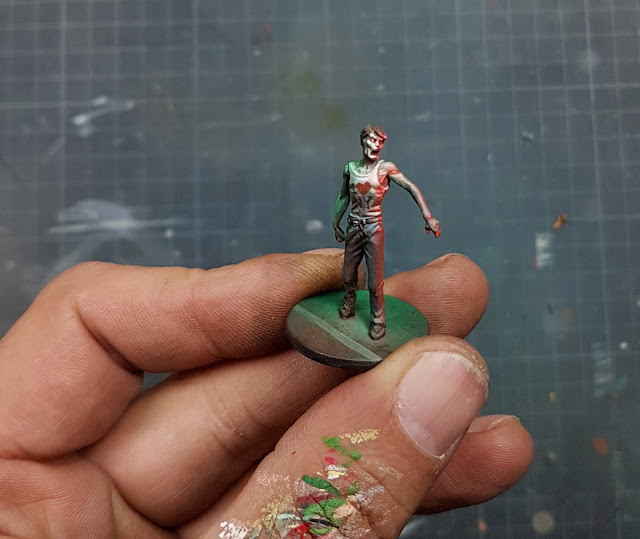 Raffa painted up a Zombie for the project - thank you for your donation! We recieved a small envelope with more Zombies. 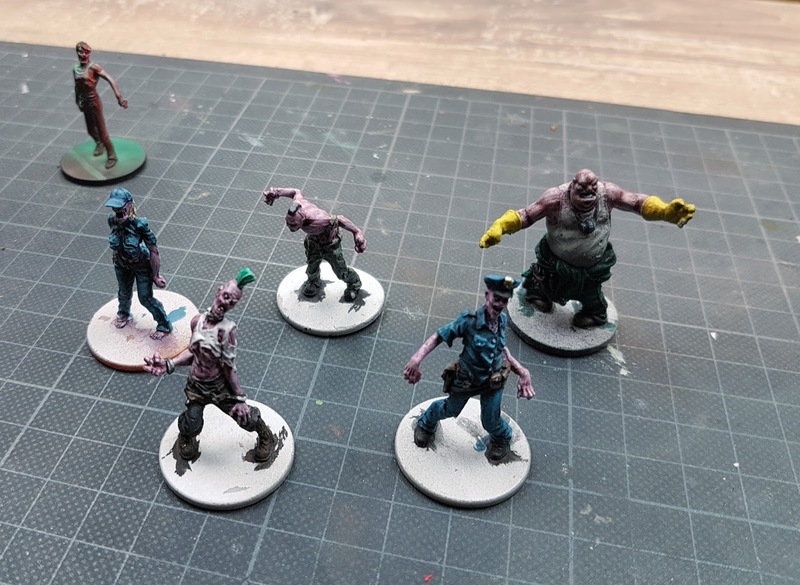 Five supercool Zombies ... thank you! All new models are up on the third group community board. Haha. 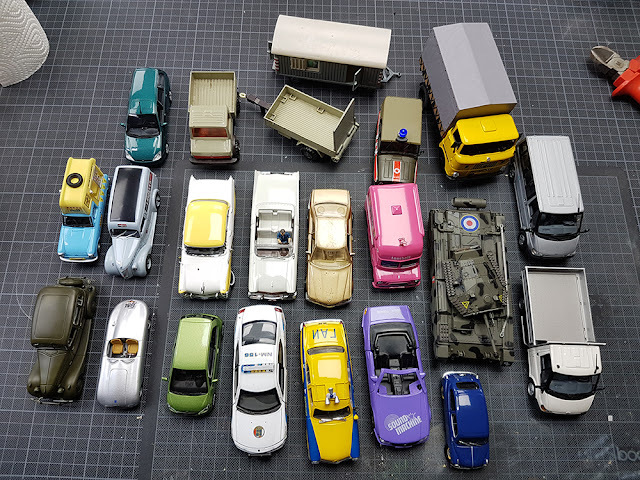 Die 5 Gestalten sind von mir. 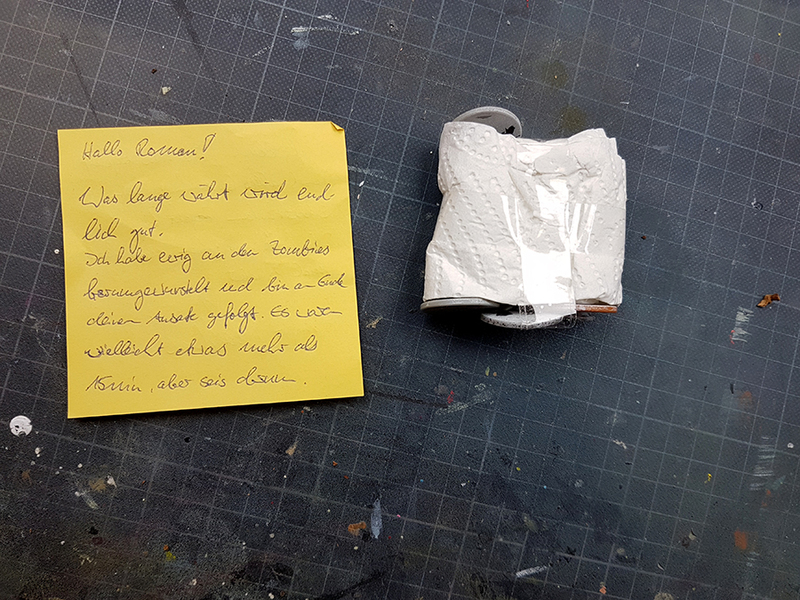 Die hattest Du mir beim Herzog von Bayern 2016 mitgegeben, als meine Tochter die Oger Büste von Dir gekauft hat.